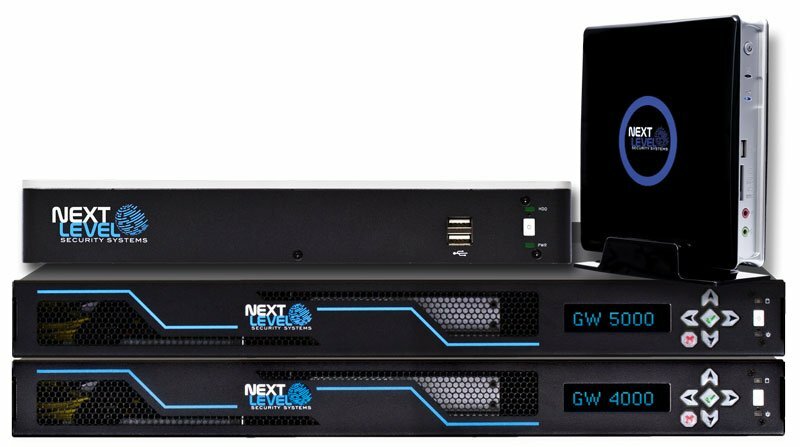 The award-winning NLSS Gateway is a unified solution that combines multiple systems including video management, access control, analytics, audio and intrusion into a single, easy-to-use networked platform. Its features are completely accessible and controllable from anywhere through a web-browser and it includes advanced deployment tools such as auto-discovery and provisioning. 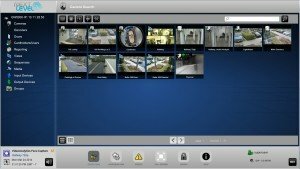 As one of the only truly integrated IP video and IP access control systems available anywhere, its architecture, features, and scalability make it the most exciting system in the security marketplace today. Click below to find the model best for your application. The NLSS Gateway 500-3 is perfect for installations with 1-12 channels, up to 10 access control doors and supports 8-12 video channels and 2-3 concurrent video analytics from a choice of 11 built-in analytics. The NLSS Gateway 3000 is the mid-sized solution for medium to large installations. It can manage up to 40 channels, 70 access control doors and can support 30-40 video channels running concurrently with up to 3 video analytics from a choice of 11 built-in analytics.. The NLSS Gateway 6100 is an enterprise level appliance that can manage up to 130 channels, 160 doors and supports 100-130 HD video channels running concurrently with 4 video analytics from a choice of 11 built-in analytics. Fully integrated IP-access control system. Integrations with one of the most respected intrusion detection panels in the industry. 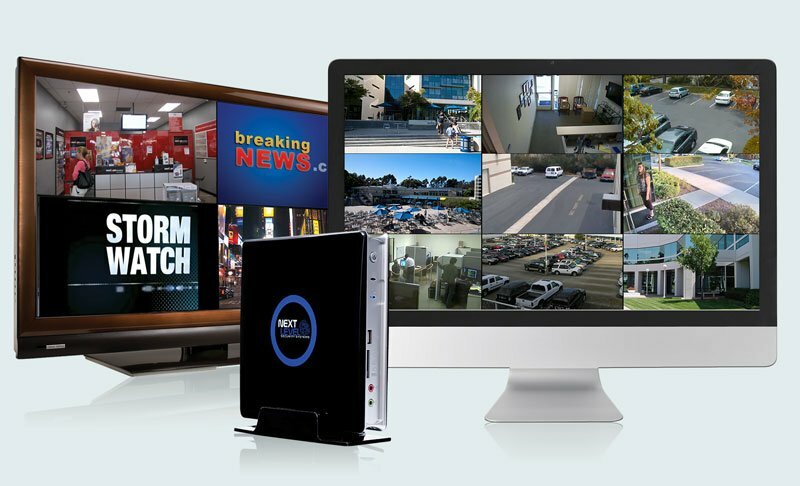 The core of the NLSS Gateway is its fully featured video management system, which is networked from the ground-up with all system components to offer a comprehensive view of a facility’s security operations. The NLSS Gateway supports ONVIF cameras and encoders, as well as other manufacturers protocols, notably including, Axis, Samsung, Sony, Panasonic, Bosch, Pelco, and others. Supported video formats include H-264, MPEG-4, M-JPEG. 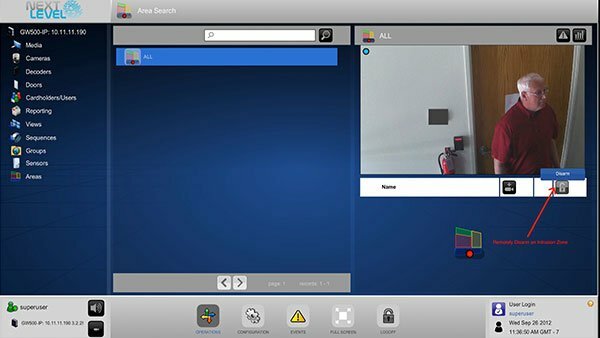 The NLSS Gateway browser-based interface gives users the ability to access their video system from any computer, tablet or smartphone. 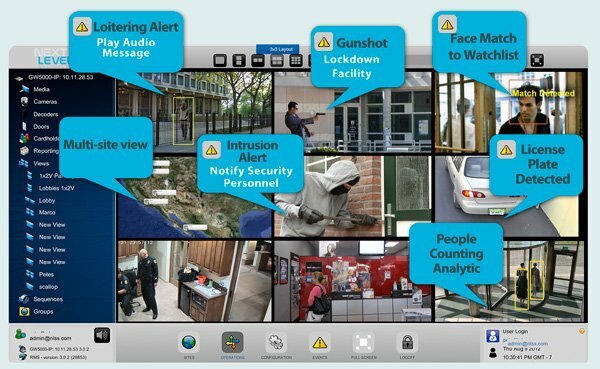 This system offers the ability for event-based monitoring of facilities and locations providing situational awareness to Security Personnel and Authorities. Previously I used generic Viagra but was always disappointed with the price of the drug. Recently I saw a Kamagra Oral Jelly advertisement; the content of which does not differ from Viagra. But the price is much lower price, so I decided to try it. Now I take these pills with me on dates. It acts quickly and efficiently, but now I can afford it. Search video in a variety of ways, set-up alarms, archive video. Analytics such as object moved or motion. Built-in reporting module based on specific camera and anlytic events. Customize your report with specified timeframes and views. 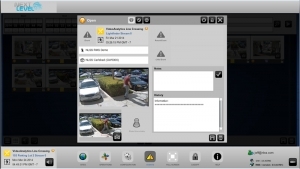 Video Management, Access Control, Intrusion, Analytics and more all in one intuitive interface. 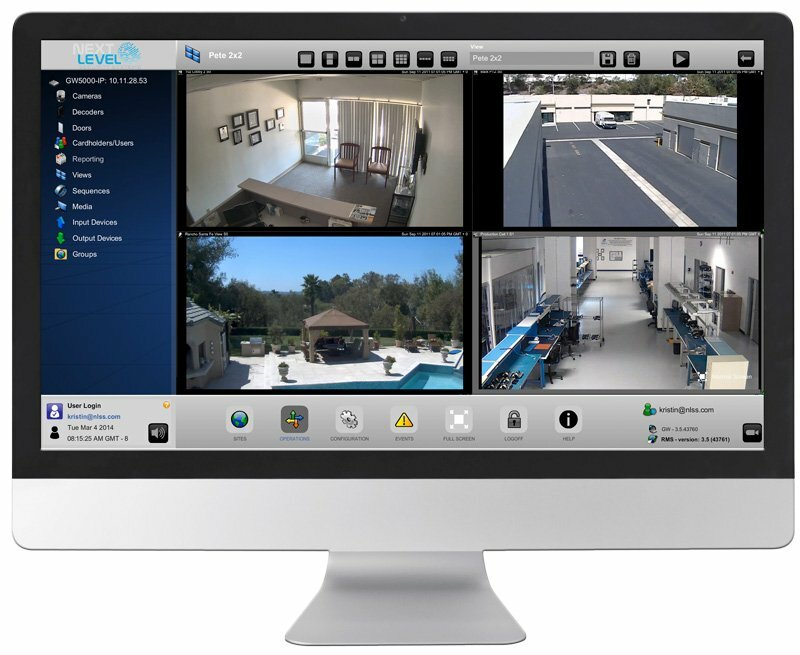 Access live surveillance video, door controls, event management and more. Stream video simultaneously to a single view display. The NLSS Gateway includes a fully integrated IP-access control system giving users one interface for both of these critical functions. Because it operates over a browser-based interface, users can access and interface with the system from anywhere that they have access to the internet. The NLSS Gateway simplifies the installation process by incorporating auto-discovery and auto-provisioning for access control edge devices into its core capabilities. Additionally, the NLSS Gateway includes a complete cardholder database with badge creation and printing tools. 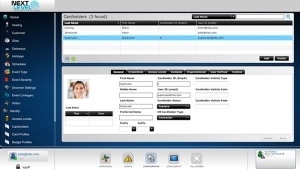 The NLSS Gateway integrates sophisticated access control and cardholder database functionality into the interface. 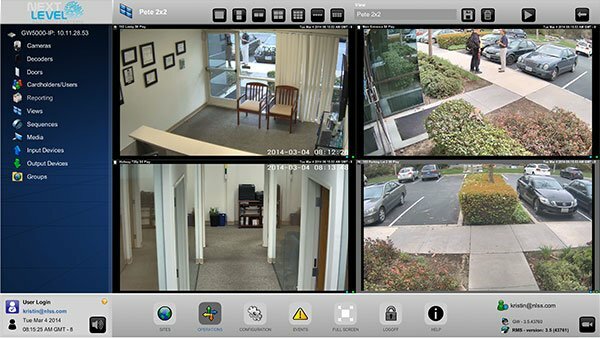 Intrusion events monitored by the NLSS integration with DMP allow for integration with the Event Management system, and ultimately integration with the Video and Access Control database. DMP Integration – The NLSS Gateway can import existing panel configuration for DMP Panels XR100N and XR500N and ultimately provides keypad emulation and full system operation from the Gateway. System automatically alerts operators of potential vulnerabilities to enable quick response times. 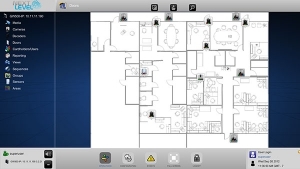 Interactive floor plans are easy to build. 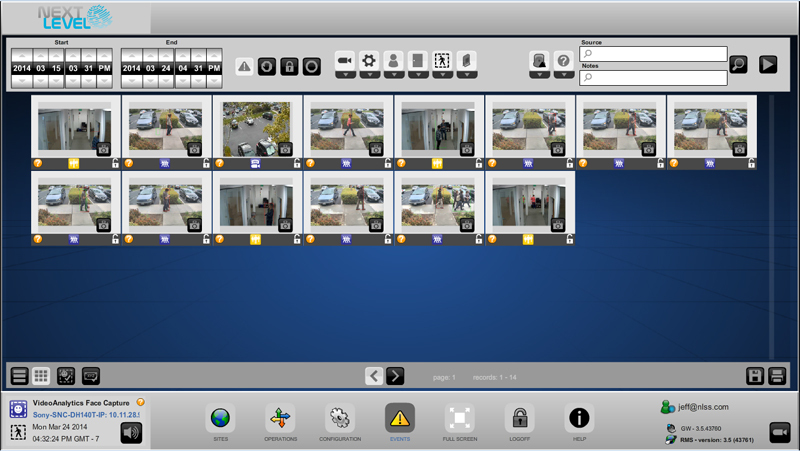 Simply drag and drop cameras, doors, monitors, and other hardware for a comprehensive overview. 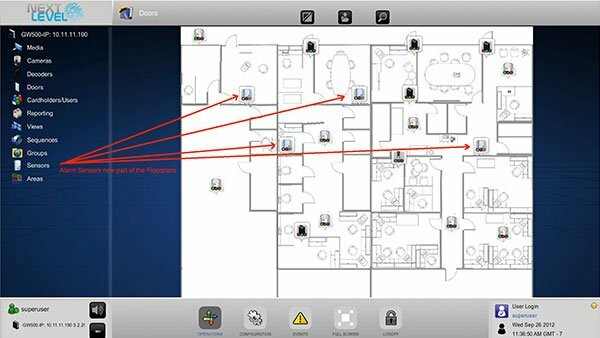 Events pop up on floor plan to quickly locate areas of activity. 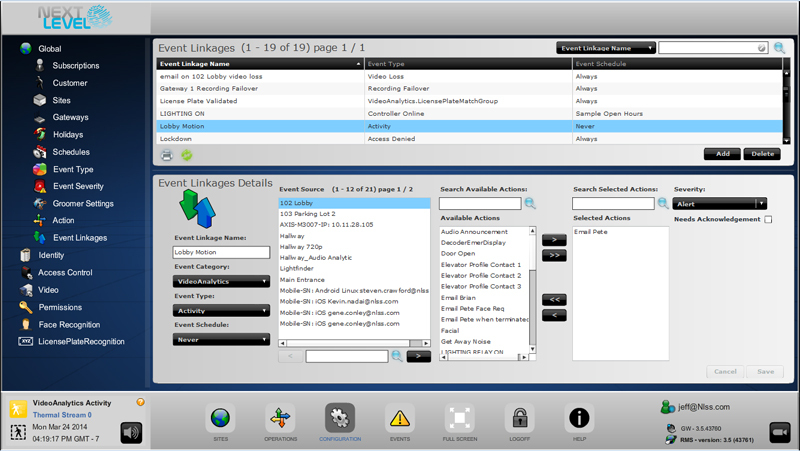 NextEvent is the Gateway’s enhanced event management and linkage system. 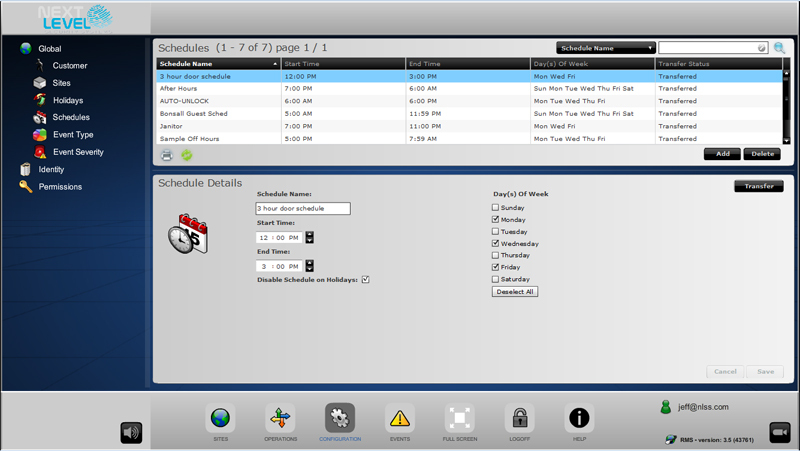 Event management prioritizes events and sets notifications and actions to be linked to single or multiple events. 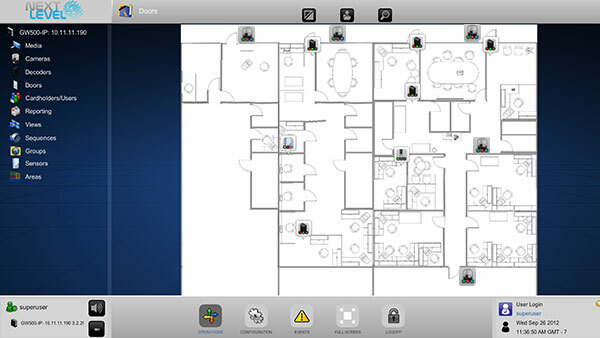 For example, an access denied alarm can set the corresponding area’s camera PTZ to a preset position. User definable event severities (priorities). Multiple automatic actions for specific events. 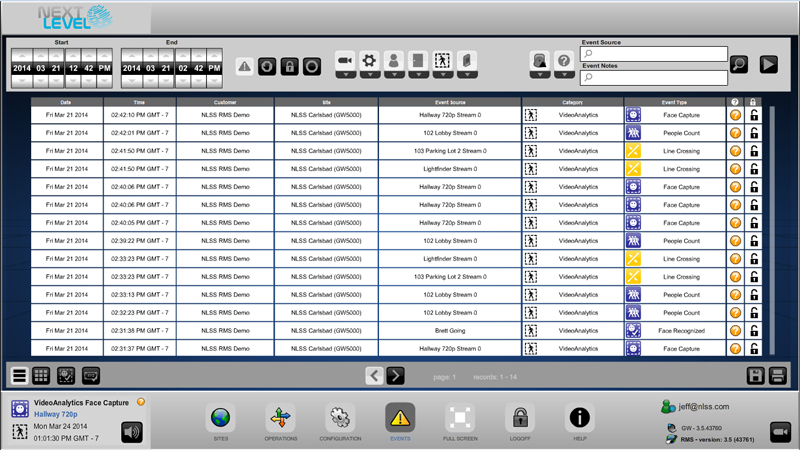 Support for dozens of events for Access Control, Camera, Decoder, System, User, Video Analytics, Audio Analytics and more. Acknowledgement of events including the ability to enter multiple time-stamped notes for specific events. Ability to select an event and automatically pull up recorded video associated with that event. Historical database of events that can be filtered, sorted and searched by Event Category, Type, Severity, Device, Date, and Time. 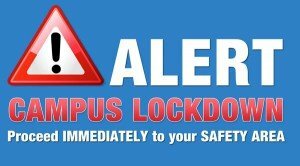 Ability to “lock” an event and associated information including recorded video, so that the related information cannot be groomed or deleted until the event is unlocked. Provides events that have event status of “needs acknowledge,” “open”, and “closed”. Interactive floor plans are easy to build. 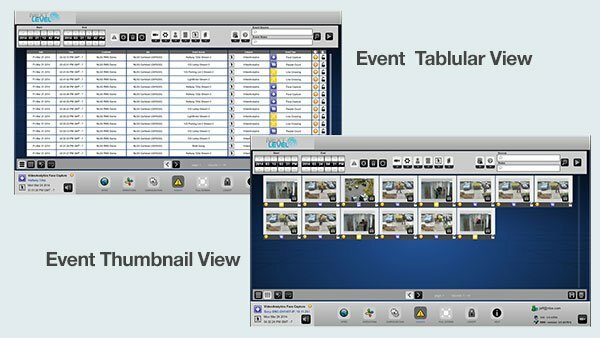 Simply drag and drop cameras, doors, and other hardware for a comprehensive overview. Unlike other video management systems, Next Level’s analytics are built-in to the platform. Video analytics can be a powerful tool to help manage a business operation. Loitering, object moved, and motion are all analytics that can be use to minimize manpower and maximize surveillance capabilities. 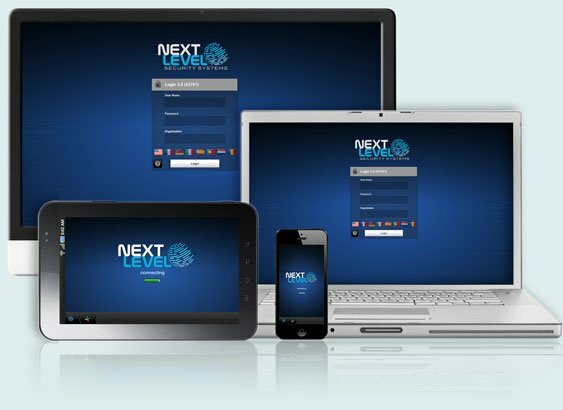 Next Level’s intelligent analytics are integrated with the platform offering solutions for security as well as business. Can include ten built-in analytic metrics for people counting, people count direction, line crossing, activity, direction, face capture, perimeter, forensic analytics, dwell time, object taken and object moved. Configurator helps determine which Gateway is the right choice when using analytics. Overlay trip wires or boxes onto video screens to identify sensitive areas. Simple setup for trip wires, face grab, people counting – direction and count, perimeter and activity. Analytics Alerts for quick view of corresponding video. 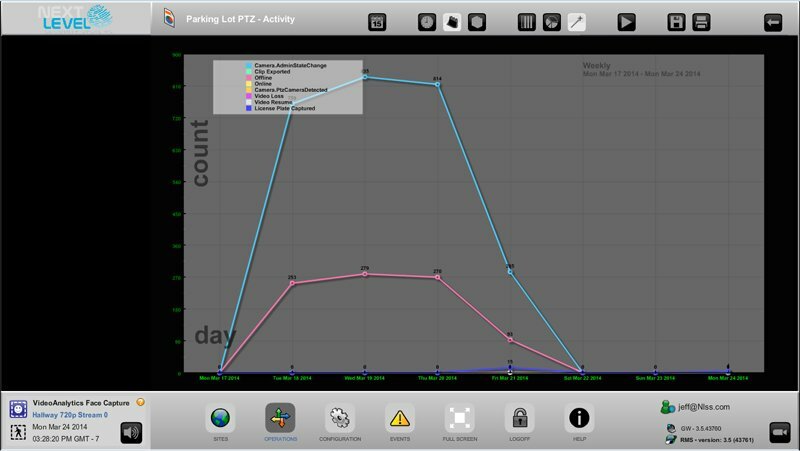 Line crossing analytics notify security personnel when people or objects cross a designated line. Can be used in conjunction with alarm systems to capture video associated with movement into sensitive areas. People Count Direction counts only the number of people that pass through a designated area and are moving in a specified direction. People entering a building will not be counted a second time upon exiting the building. This is especially useful for businesses that want to know the number of customers who entered over a certain time frame. Monitor whether people are entering or exiting a location or entrance within a store or facility. Activity analytics send a notification when there is movement within a specified area. Activity can be used to secure vulnerable or even dangerous areas. Can be used in conjunction with alarm systems to capture video associated with movement into sensitive areas. Perimeter analytics send notification only when movement enters a designated zone. Perimeter differs from Activity in that only new objects entering a zone will trigger an alert where as moving objects within the zone do not. Can be used in conjunction with alarm systems to capture video associated with movement into sensitive areas. Secure sensitive or restricted areas such as parking garage, dormitories, embassies, stores, etc. The NLSS Gateway allows pre-recorded audio files to be played based on events. Customized audio files in MP3 or WAV format can also be loaded on to the NLSS Gateway. 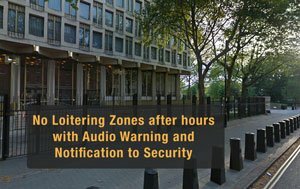 Loitering, Perimeter and Activity Analytic can be used with predetermined schedules, such as between 10:00 p.m. to 6:00 a.m. In the event that the analytic detects an event, audio notifications are only sent during the appropriate times. Potential criminal offenders can be scared off by audio notifications and automatic lighting. 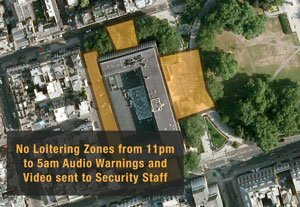 Two-way audio allows the security team to speak directly to camera location if necessary. 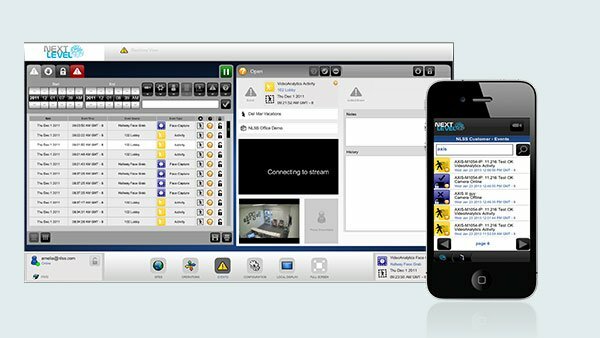 Next Level’s License Plate Tracking & Recognition analytic gives security personnel powerful tracking tools for proactive and pre-emptive action. License Plate Recognition provides the ability to read vehicle license plates and check captured plates against a known database for rapid reaction. Locate and extract license plates from moving and parked vehicles from digital video streams in real time. Count total number of license plates in the field of view with a minimal pixel resolution of each license plate. Full text plate search with wildcards. Detect what a video-only system can’t detect. Detect crimes and events by analyzing audio. Recognizes aggressive speech and shouting from speakers. Enables immediate action in the event the system detects a gunshot. Use to initiate facility lockdown. 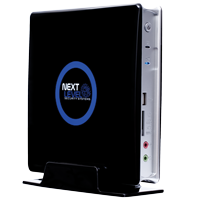 The NLSS Gateway includes unprecedented audio functionality for both on-site and remote facilities management. Remotely grant access using two-way audio for after hours deliveries or access.